The F/A-18 Hornets of the Finnish Air Force will be decommissioned until 2030. In 2015, the Minister of Defence authorized the launch of the HX Fighter Program, which aims to find a replacement for the Hornets. The HX Program will, according to current estimates, be the biggest arms deal in the history of Finland, and is directly related to the future of Finnish Aviation. In 1992, the Government of Finland decided, as proposed by the experts of the Ministry of Defence, to choose the F/A-18 Hornet as the fighter type of the Finnish Air Force. The new fighters were introduced in 1995 – 2000. The Hornets have since undergone two major upgrades, in 2006 – 2010 and 2012 – 2016, during which the weapons systems, among others, have been upgraded. These upgrades ensure the continuation of the life-cycle of the Hornets until the 2020’s, according to the original life cycle plans. 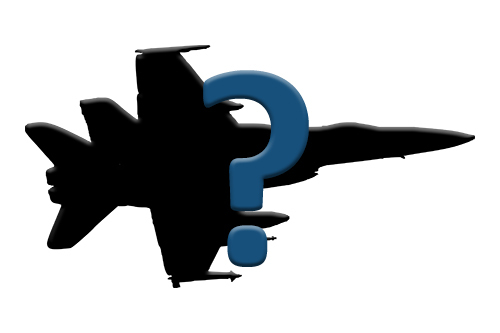 In 2015, the Ministry of Defence released a Preliminary Assessment for replacing the capabilities of the Hornet fleet. The Assessment proposes, that the original life-cycle should not be prolonged and that the Hornets should be replaced with new multi-role fighters – combat aircraft flexibly capable of both air-to-air and air-to-ground missions – until 2030. According to the Preliminary Assessment, the Minister of Defence authorized the launch of the project to replace the current fighter fleet – the HX Fighter Program. The HX Program is a long process, with an estimated duration of 15 years. The process is currently in the Request for Information (RFI) phase – the Finnish Defence Forces Logistics Command sent a preliminary request for information to the defence administrations of France, Sweden, United Kingdom and the United States to be forwarded to the aircraft manufacturers of the countries. The Request for Information, in which the aircraft manufacturers are asked for their solutions for replacing the capabilities of the Hornets, precedes the actual Request for Quotation. The Defence Forces received answers for the Request of Information from five manufacturers of the recipient countries. The actual Request for Quotation is to be made in 2018. The choice for the successor of the Hornets is to be made during the next parliamentary electoral term, around 2021. The decision is made by the future Government, chosen after the 2019 Parliamentary Elections, for whom the Ministry of Defence is to deliver their proposition. The proposition is based on the Quotations, as well as thorough evaluation. Financing the purchase is decided by the Parliament of Finland. The Hornets are to be replaced during the latter half of the 2020’s. The total cost of the HX Fighter Program is estimated to be 7 – 10 billion euros, according to the Government’s Defence Policy Report released in 2017. This would make it the biggest arms deal in the history of Finland. The Paris Peace Treaty of 1947 included serious military restrictions for the Finnish Armed Forces. The total strength of the Finnish Air Force was, for instance, restricted to 60 fighting aircraft (not including training aircraft) – bomber aircraft and missile weapons were banned altogether. Finland’s position as a Neutral country between the East and West complicated weapons trade, as the tensions of the Cold War grew. Also the government resources were minimal after the War, which restricted the purchase of expensive military aircraft. The Finnish Air Force flew wartime Messerschmitt Bf 109 fighters until the beginning of the 1950’s. During autumn 1952, after the War Reparations for the Soviet Union had been paid in total, the Government finally decided to purchase three De Havilland Vampire jet fighters – the first jet fighters of the Finnish Air Force. The Vampire, which was introduced immediately after the World War, was already considered an outdated model – but it was the best fighter type available at the time. In 1956, Folland Gnat fighters were ordered to serve alongside the Vampires. The Gnat was already much more modern, and temptingly inexpensive – but it lacked the performance of its competitors. The Gnat was never chosen as the frontline fighter in its manufacturing country, losing the competition to the Hawker Hunter, and was used by the Royal Air Force only as a jet trainer. The Finnish Air Force also had only a limited number of the new fighters – a total of six Vampires, nine two-seat Vampire trainers and 14 Folland Gnats. The Vampires were operated until 1965, the Gnats until the beginning of the 1970’s. 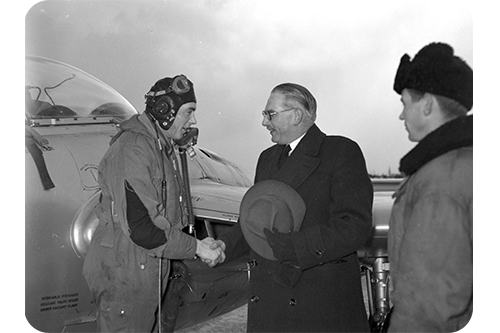 In the early 1960’s, the Government of Finland began to develop its air forces. In January 1962, soon after resolving the Note Crisis between Finland and the Soviet Union, the Soviet Union offered Finland their MiG-21F-13 -fighter – a fighter type only recently introduced to the Soviet Air Force, and not yet sold to any other country. In February 1962, Finland placed an order for 20 MiG-21 fighters – the first up-to-date fighters of the Finnish Air Force since the War – and four MiG-15UTI trainers. During the time of the purchase, representatives of the Finnish Ministry of Defence had only seen the new fighter in pictures. The new fighters were also equipped with air-to-air missiles – the Paris Peace Treaty banned missiles, but the Treaty was re-interpreted in the 1960’s allowing defensive missile armament. In 1970, Swedish Saab 35 Draken fighters were ordered alongside the Soviet aircraft, replacing the Folland Gnats. The aircraft were constructed in Finland, at the Valmet factory in Kuorevesi. The Finns had already tested the Swedish fighter during Summer 1961, but the Government chose the Soviet alternative instead. The Draken purchase led to a situation, where roughly half of the Finnish Air Force fighter fleet came from the East and half from the West. In addition, in the turn of the 1970’s and the 1980’s, the old MiG-21F-13 -fighters were replaced by a newer version of the type, the MiG-21BIS. When the question of the successor of the Mig-21’s and Drakens arose in the late 1980’s the political situation was rapidly changing. Germany reunited in 1990, and as a result, the old occupying countries decided the restrictions of sovereignty of the Paris Peace Treaty – including military restrictions – annulled. Referring to this, Finland declared all articles of the Peace Treaty regarding military restrictions – with the exception of the ban of nuclear weapons – one-sidedly null and void. The Soviet Union and Great Britain, to whom Finland informed the matter beforehand, did not object. The Soviet Union collapsed the following year, and the Cold War came to an end. In this new geopolitical situation, The Finnish Defence Forces underwent a process, which led to ordering the American McDonnell-Douglas F/A-18 Hornet, a twin-engine fighter originally designed for the U.S. Navy, as the new main fighter of the Finnish Air Force.